Chandan Prabhakar who used to play chandu on The Kapil Sharma Show is back. After the infamous quarrel on a flight between Kapil Sharma and his co-actor Sunil Grover who used to play Dr Mashoor Gulati and Rinku Bhabhi, things went downhill for Kapil Sharma. Sunil, Chandan and Ashgar Ali had left the show and the show's TRPs plummeted. Now it all seems to be a happy space for Chandu chaiwala is back! 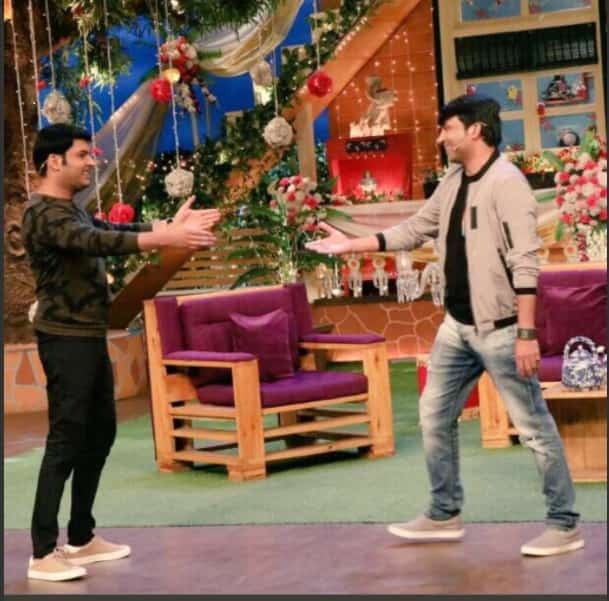 Kiku Sharda aka Bacha Yadav took to Twitter and shared an image of Kapil Sharma welcoming Chandhan Prabhakar. After the fall out between co-actors of TKSS, the TRPs of the show had subsided. Now that Chandu is back we hope the TRPs to surge.